$175K MSRP. SIX SPEED MANUAL! $5K COMPLETE BODY CLEAR BRA AND CERAMIC COATING. 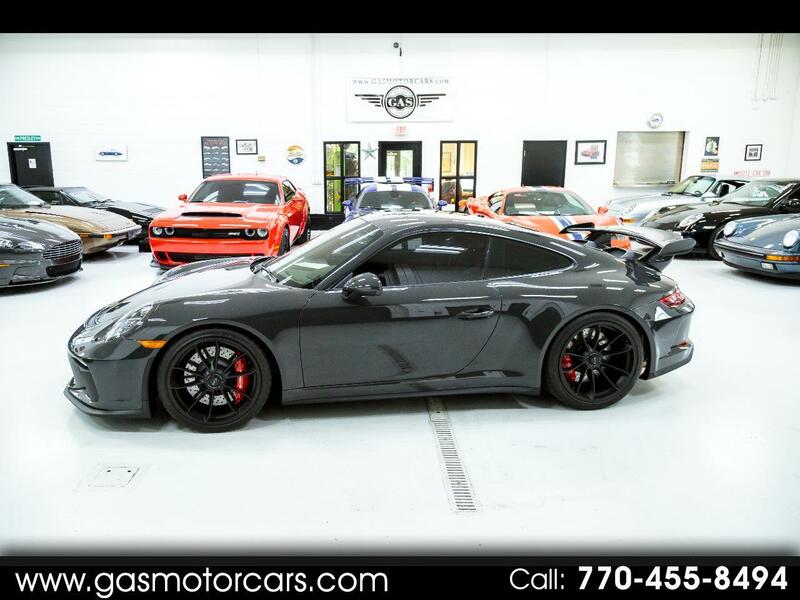 PAINT TO SAMPLE SLATE GRAY FOR $12,800.00, LEATHER/ ALCANTARA INTERIOR W/ PLATINUM GREY STITCHING, EXTENDED RANGE FUEL TANK, FIRE EXTINGUISHER, BOSE AUDIO SYSTEM, FULL BUCKET CARBON FIBER SEATS, WHEELS PAINTED IN SATIN BLACK, PDLS, SILVER GREY SEAT BELTS, AND MUCH MUCH MORE. NO OVER REVS WITH A CLEAN BILL OF HEALTH FROM THE PORSCHE DEALER, ORIGNAL WINDOW STICKER, NO PAINTWORK, NEVER TRACKED, TWO KEYS, ALL BOOKS, ETC. GAS MOTORCARS INC IS A FAMILY OWNED AND OPERATED DEALERSHIP LOCATED IN MARIETTA, GA. WE ONLY SELL VEHICLES OF THE HIGHEST QULITY. WE CAN SHIP WORLDWIDE. WE CAN TAKE TRADES, WE SHOW VEHICLES BY APPOINTMENT ONLY.